Dr. Luh is the Technical Director of the Cornell MRI Facility (CMRIF), a newly established joint venture of the Colleges of Human Ecology, Engineering, Arts and Sciences and Veterinary Medicine. Before coming to Cornell in 2012, he was a Staff Scientist in the Functional MRI Facility of the intramural research program at the National Institute of Mental Health, National Institutes of Health. Dr. Luh is an expert in establishing and maintaining the star-of-art MRI facility dedicated to innovative research and technical development. He is also an expert in functional MRI for experimental design and data acquisition. 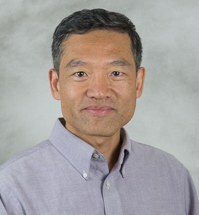 Dr. Luh’s research focuses on developing new methods and improving current techniques in image acquisition and signal quality through hardware and software intervention using MRI and functional MRI. One particular area is in the development of Arterial Spin Labeling techniques to measure cerebral blood flow as a surrogate to tissue health and function. The applications include clinical diagnosis of neurovascular diseases and neuronal activation during both task and resting states. Recent advancement in functional MRI data acquisition includes the development of multiple-echo image acquisition to objectively discern functional related signal change from physiological related noise perturbation. The approach shows promising results in substantially improving the data quality, especially for resting-state connectivity measurement against motion artifacts and physiological fluctuation. Wise T, Marwood L, Perkins AM, Herane-Vives A, Joules R, Lythgoe DJ, Luh WM, Williams SCR, Young AH, Cleare AJ, Arnone D. Instability of default mode network connectivity in major depression: a two-sample confirmation study. Transl psychiatry 7:e1105 (2017). DuPre E, Luh WM, Spreng RN. Multi-echo fMRI replication sample of autobiographical memory, prospection and theory of mind reasoning tasks. Sci Data 3:160116 (2016). Brennan JR, Van Wagenen SE, Stabler EP, Luh WM, Hale JT. Abstract linguistic structure correlates with anterior temporal activity during naturalistic comprehension. Brain Lang. 157-158, 81-94 (2016). Tilsen S, Spincemaille P, Xu B, Doerschuk P, Luh WM, Feldman E, Wang Y. Anticipatory posturing of the vocal tract reveals dissociation of speech movement plans from Linguistic units. PLoS ONE 11(1): e0146813 (2016). Ranaweera RD, Kwon M, Hu S, Tamer GG Jr, Luh WM, Talavage TM. Temporal pattern of acoustic imaging noise asymmetrically modulates activation in the auditory cortex. Hear. Res. 331, 57-68 (2016). Kundu P, Benson B, Baldwin K, Rosen D, Luh WM, Bandettini PA, Pine DS, Ernst M. Robust resting state fMRI processing for studies on typical brain development based on multi-echo EPI acquisition. Brain Imaging Behav. 9, 56-73 (2015). Spreng RN, DuPre E, Selarka D, Garcia J, Gojkovic S, Mildner J, Luh WM, Turner GR. Goal-congruent default network activity facilitates cognitive control. J. Neurosci. 34, 14108-11 (2014). Liu N, Kriegeskorte N, Mur M, Hadj-Bouziane F, Luh WM, Tootell RBH, Ungerleider LG. Intrinsic structure of visual exemplars and category representations in Macaque brain. J. Neurosci. 33, 11346-60 (2013). Misaki M, Luh WM, Bandettini PA. The effect of spatial smoothing on fMRI decoding suggesting information of columnar-level organization in multiple spatial scales of BOLD response. J. Neurosci. Methods 212, 355-61 (2013). Gonzalez-Castillo J, Duthie KN, Saad ZS, Chu C, Bandettini PA, Luh WM. Effects of image contrast on functional MRI image registration. Neuroimage 67, 163-74 (2013). Misaki M, Luh WM, Bandettini PA. Accurate decoding of sub-TR timing differences in stimulations of sub-voxel regions from multi-voxel response patterns. Neuroimage 66, 623-33 (2013). Luh WM, Talagala SL, Li TQ, Bandettini PA. Pseudo-continuous arterial spin labeling at 7T for human brain: estimation and correction for off-resonance effects using a Prescan. Magn. Reson. Med. 69, 402-10 (2013). Hadj-Bouziane F, Liu N, Bell AH, Gothard KA, Luh WM, Tootell RBH, Murray EA, Ungerleider LG. Amygdala lesions disrupt modulation of fMRI activity evoked by facial expression in the monkey inferior temporal cortex. Proc. Natl. Acad. Sci. USA 109, E3640-8 (2012). Kundu P, Inati S, Evans JW, Luh WM, Bandettini PA. Differentiating BOLD and non-BOLD signals in fMRI time series using multi-echo EPI. Neuroimage 60, 1759-70 (2012). Sarlls JE, Pierpaoli C, Talagala SL, Luh WM. Robust fat suppression at 3T in high-resolution diffusion-weighted single-shot EPI of the brain. Magn. Reson. Med. 66, 1658-1665 (2011). Olulade O, Hu S, Gonzalez-Castillo J, Tamer GG Jr, Luh WM, Ulmer JL, Talavage TM. Assessment of temporal state-dependent interactions between auditory fMRI responses to desired and undesired acoustic sources. Hear. Res. 277, 67-77 (2011). Hu S, Olulade O, Gonzalez-Castillo J, Santos J, Kim S, Tamer GG Jr, Luh WM, Talavage TM. Modeling hemodynamic responses in auditory cortex at 1.5 T using variable duration imaging acoustic noise. Neuroimage 49, 3027-38 (2010). Hu S, Olulade O, Tamer GG Jr, Luh WM, Talavage TM. Signal fluctuations induced by non-T1-related confounds in variable TR fMRI experiments. J. Magn. Reson. Imaging 29, 1234-9 (2009). Tamer GG Jr, Luh WM, Talavage TM. Characterizing response to elemental unit of acoustic imaging noise: an FMRI study. IEEE Trans. Biomed. Eng. 56, 1919-28 (2009). Lim YM, Cho YW, Shamim S, Solomon J, Birn R, Luh WM, Gaillard WD, Ritzl EK, Theodore WH. Usefulness of pulsed arterial spin labeling MR imaging in mesial temporal lobe epilepsy. Epilepsy Res. 82, 183-9 (2008). Obata T, Liu TT, Miller KL, Luh WM, Wong EC, Frank LR, Buxton RB. Discrepancies between BOLD and flow dynamics in primary and supplementary motor areas: application of the balloon model to the interpretation of BOLD transients. Neuroimage 21, 114-153 (2004). Miller KL, Luh WM, Liu TT, Martinez A, Obata T, Wong EC, Frank LR, Buxton RB. Characterizing the perfusion response to stimuli of short duration. Human Brain Mapping 13, 1-12 (2001). Wong EC, Liu TT, Luh WM, Frank LR, Buxton RB. A T1 and T2 Selective Method for improved SNR in CSF attenuated imaging: T2-FLAIR. Magn. Reson. Med. 45, 529-532 (2001). Wong EC, Luh WM, Liu TT. Turbo ASL: arterial spin labeling with higher SNR and temporal resolution. Magn. Reson. Med. 44, 511-515 (2000). Luh WM, Wong EC, Bandettini PA, Ward BD, Hyde JS. Comparison of simultaneously measured perfusion and BOLD signals increases during brain activation with T1-based tissue identification. Magn. Reson. Med. 44, 137-143 (2000). Luh WM, Wong EC, Bandettini PA, Hyde JS. QUIPSS II with thin-slice TI1 periodic saturation: a method for improving accuracy of quantitative perfusion imaging using pulsed arterial spin labeling. Magn. Reson. Med. 41, 1246-1254 (1999). Frank LR, Wong EC, Luh WM, Ahn JM, Resnick D. Articular cartilage in the knee: mapping of the physiologic parameters at MR imaging with a local gradient coil—preliminary results. Radiology 210, 241-246 (1999). Donahue KM, Van Kylen J, Guven S, El-Bershawi A, Luh WM, Bandettini PA, Cox RW, Hyde JS, Kissebah AH. Simultaneous gradient-echo/spin-echo EPI of graded ischemia in human skeletal muscle. J. Magn. Reson. Imaging 8, 1106-1113 (1998). Adjunct Professor, Biomedical Engineering, College of Engineering, Cornell University.